For this town you are going to do pretty much the same as you did in the first town. The only difference is going to be, instead of adding 2 sawmills, you are going to add 2 of something else (quarry Ironmine or farm). 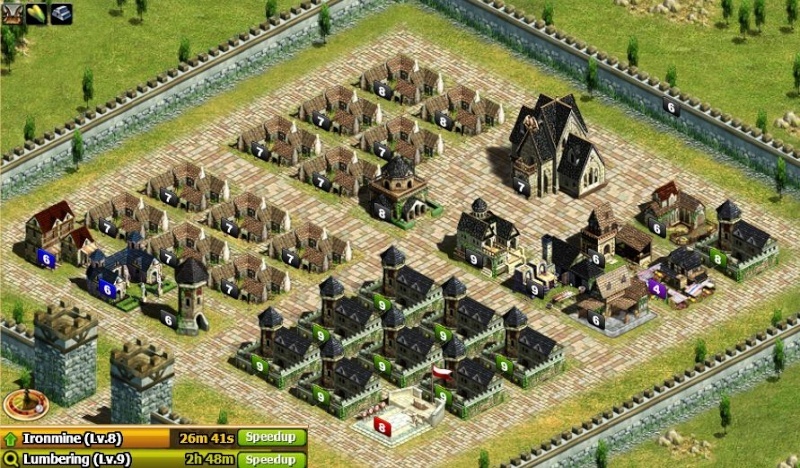 You are also going to want to add less cottages, instead of the cottages add barracks. something along those lines. Buildings are abbreviated with thier first letter, unless its 2 words, such as FH=feasting hall. Only ones possibly confusing are RS and ReS. RS is rally spot.....ReS is relief station.